Audio-Technica’s ATH-M50x Headphones are now available at a discounted price of $111.75 (MRP $149.00). That’s an amazing discount on the premium headphones. They come with a 45 mm large-aperture drivers that can deliver high-performance, 90-degree swiveling earcups, professional-grade earpad and detachable cable. Motorola’s Moto X4 smartphone is now available at a discounted price of $199.99 (MRP $399.99). That’s a pretty good discount on the premium smartphone. This is also Amazon Exclusive phone come with pre-installed Amazon apps, including the Amazon Widget, provide Prime members with easy access to daily deals, Prime movies and TV shows, Prime Music, Prime Photos storage, and more. The recently launched LG V35 ThinQ is down to $599.99 (MRP $899.99) on Amazon right now. It is a Prime Exclusive phone that features a Dual 16 MP standard and wide-angle rear AI cameras, an 8 MP wide-angle front-facing camera with Selfie, 6.0-inch QHD+ OLED FullVision display, 6GB RAM, 64GB storage and powered by Snapdragon 845 processor. The August Smart Lock 3rd Gen Technology also works with Alexa is down to $110.99 (MRP $149.99). That’s one of the lowest prices we’ve seen on this device. You can lock and unlock your door, control keyless access and keep track of who comes and goes, all from your phone. The ViewSonic PX747-4K 4K Projector is currently available at a discounted price of $999.99 (MRP $999.99). 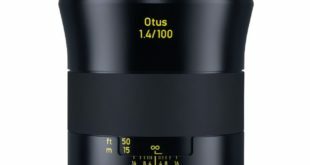 The projector usually sells at the price point of $1,299.99 online. This is a good deal especially if you want cinema-like experience at home. The LG 55UK6300 4K TV is now available with ThinQ Gift Card and 1 year extended warranty pack at just $693.99. The 55-inch 4K TV from LG also supports HDR10 and HLG advanced tone mapping technology that provides scene-by-scene optimization. If you’re looking for a new gaming phone, the Razer Phone is down to $524.65 (MRP $699.99) on Amazon’s Prime Day sale. The gaming phone is powered by the Qualcomm Snapdragon 835 SoC, supported by 8GB of RAM. It comes with a 64GB of storage and runs Android 8.1 Oreo out of the box. The Amazon Cloud Cam is the most affordable security camera powered by Alexa. At $59.99 (MRP $119.99), the Amazon Cloud Cam is a great buy. It also features Night vision that lets you detect what’s happening around the clock. It has two-way audio and 30-day free trial of Cloud Cam Plans. If you’re looking for a new security system at an affordable price, the Ring Spotlight Cam is now available at a discounted price of $139.99 (MRP $199.99) on Amazon’s Prime Day sale. This security camera equipped with built-in spotlights, two-way talk, and a siren alarm, and also works with Alexa. The recently launched Huawei Mate SE is down to $219.99 (MRP $249.99) on Amazon right now. The Huawei Mate SE features a 5.93-inch 18:9 edge-to-edge all-screen FHD+ display, a dual 16MP + 2MP rear camera with portrait mode. The SharkNinja Shark Ion 750 Robotic Vacuum Cleaner is down to $284.98 (MRP $379.99) in a Lightning Deal on Amazon right now. The Robotic Vacuum Cleaner is also compatible with Alexa for voice control, and long-life lithium-ion battery allows for over an hour of cleaning time. If you’re looking for a VR gaming, the Oculus Rift with Touch Virtual Reality system is down to $399.00 on Amazon’s Prime Day sale. The VR system also includes free gaming titles and Oculus Touch controllers letting you interact naturally with the virtual world. When you buy a new Nintendo 3DS XL, you’ll be able to get a free AC adapter for just $149.99 during Prime Day. The bundle was earlier being offered at the $199.00. Nintendo Switch with Free 64GB microSD card and $20 Nintendo eShop Gift Card is currently available for as low as $299.99 (MRP $340.99) on Amazon. That’s a decent deal considering it is available in the both Gray and Neon Blue and Red color variants. The Toshiba 50-inch 4K Smart LED TV is available at a discounted price of $289.99 (MRP $399.99) on Amazon. While the 43-inch model now costs only $249.99 with 24% discounts. The TV supports 4K HDR with Fire TV powers all the smart features on the TV. Both the models can easily handle the 4K HDR content on Netflix, Prime Video, Hulu, HBO, SHOWTIME, STARZ, and more. Another product you absolutely don’t want to miss out during Amazon’s promotional sales is the Fire TV Cube Streaming Media Player. The Fire TV Cube is currently available with a discount of 25 percent. The Fire TV Cube is the most affordable smart Streaming Media Player powered by Alexa. At $89.99 (MRP $119.99), the Fire TV Cube is a great buy. The Ticwatch E Smartwatch is currently available at a discounted price of $111.99 (MRP $159.99). This is a good deal especially if you use a Google Assistant at tour daily basis. It is based on Android Wear 2.0, it can track your walks, runs, rides, heart rate and strength training with Google Fit and your favorite fitness apps. Fossil Smartwatches are probably the best products you can buy during the Amazon sale. On Prime Day 2018, Amazon is offering a huge discount on the various Fossil smartwatches: Fossil Gen 3 Q Venture brings down the price to $165 (MRP $199). The Fossil Q Men’s Gen 3 Explorist smartwatch is also available for $165 (MRP $199). Amazon is also offering a discount of 40 percent on the Fossil Q Women’s ‘Q Venture’ Quartz SmartWatch, bringing down the price to $165 (MRP $199). And the Fossil Q Men’s Gen 3 Explorist Silver model also available at $165.00. The Garmin Vivofit 4 is down to $59.99 (MRP $79.99). That’s a great price for this activity tracker that can feature always-on customizable color display and 1+ year battery life; no charging necessary. Another product you absolutely don’t want to miss out during Amazon’s Prime Day sales is the Jabra Elite 45e Wireless Headphones are currently available with a discount of 30 percent. The Jabra Elite 45e Wireless Headphones are also powered by Alexa. At $69.99 (MRP $99.99), is a great deal to buy. The Skullcandy Hesh 2 Bluetooth Wireless Headphones are now available at flat $50 off. These run out pretty quickly so don’t waste a lot of time thinking about it. They’re a decent pair of headphones with up to 15-hours of battery life, useful while traveling and flexible headband can withstand the punishment of everyday use. Bose’s SoundLink Micro Bluetooth speaker is down to $69.00 (MRP $99) on Amazon’s Prime Day sale. You can wirelessly hook up a device using a Bluetooth connection to play music and even receive phone calls. The inbuilt battery can last up to six hours on a full charge. Bose’s QuietComfort 25 noise-canceling headphones are now available at a discounted price of $125 (MRP $299). That’s a pretty sweet discount on the premium headphones. The headphones have a good rating on Amazon, with most customers loving its noise-canceling capabilities. The Samsung Chromebook (XE500C13-S03US) is currently available for $129.00 (MRP $199.99). That’s $70.99 less than its usual selling price online. The Chromebook comes with up to 11 hours of battery life, built-in security features, 11.6-inch HD anti-reflective display, spill-resistant keyboard, powered by Intel Celeron N3060 Processor with 4GB RAM and 32GB storage. Asus Chromebook Flip (C101PA-DB02) is down to $229 (MRP $293.48) on Amazon’s Prime Day sale. You can put it in tablet, stand, or laptop mode because it comes with a flexible 360-degree hinge design. It has a 10.1-inch WXGA (1280 x 800) touchscreen display, USB Type-C port, powered by Rockchip RK3399 Quad-Core 2.0 GHz processor, with 16GB of storage and 4GB RAM. Asus Chromebook Flip (C213SA-YS02) is available at a discounted price of $249.99 (MRP $314.82) on Amazon. The laptop also supports Stylus pen and has a rugged and spill proof design as well as 11.6-inch touchscreen display with HD+ resolution. It is powered by an Intel Dual-Core Apollo Lake N3350 processor, paired with 4GB of DDR4 RAM, 32GB of Storage, USB Type-C, and support for Android Apps. Asus Chromebook Flip (C302CA-DHM4) is currently available for as low as $399 (MRP $499) on Amazon. That’s a decent deal considering it is available with Intel Core M3 processor. It has 4GB RAM, 64GB storage, and USB Type C port. Asus’s most affordable Chromebook – C202SA-YS01 – is down to $119.00 (MRP $199.89) during the Prime Day sale. The Asus Chromebook C202SA-YS01 could be a great device for students with its ruggedized and water resistant design and at this price. The Chromebook C202SA-YS01 also has a 180-degree hinge, and a lot more thanks to Google’s Play Store support. Google’s Pixelbook notebook is down to $749.99 (MRP $999) on Amazon’s Prime Day sale. If you’re mainly into high-performance Chromebook and need 4-in-1 design laptop that adapts various modes such as a laptop, tablet, tent and entertainment modes, this might just be the right Chromebook for your home or office. The Acer Chromebook R 11 is down to $199.99 (MRP $289.99) in Amazon Prime Day Deal right now. This is also a Convertible laptop, comes with an 11.6-Inch touchscreen display with HD resolution, powered by an Intel Celeron N3150 processor, coupled with 4GB of DDR3L RAM and 32GB of eMMC storage. The Acer Chromebook R 13 13.3-inch Convertible laptop is currently down to $314.99 (MRP $367) on Amazon. The laptop comes with a 13.3-inch touchscreen display that runs at full HD resolution. It is powered by MediaTek MT8173C processor, supported by 4GB of LPDDR3 RAM. There’s a 32GB eMMC storage inside and you also get Google Play Store for free Apps. If you’re looking for a budget Chromebook for study, the Acer Chromebook 11 11.6-inch laptop is down to $139.99 (MRP $219.99) on Amazon’s Prime Day sale. The laptop is powered by the Celeron N3060 processor, supported by 4GB of DDR3L RAM. It comes with a 16GB of eMMC storage and also supports Google Play Store. Samsung Galaxy Tab S3 is probably the best tablet you can buy during Amazon Prime Day 2018, Amazon is offering a discount of $30 on the Galaxy Tab S3. This brings down the price to $400 for the 32GB storage model with a 9.7-inch display and will be available in Black and Silver color options. In case you are a fan of the Nokia mobile phone, the Nokia 2 is now available at flat $20 discount. These run out pretty quickly so don’t waste a lot of time thinking about it. This is a popular budget handset comes with Corning Gorilla glass protection, powered by Qualcomm Snapdragon quad-core processor, long battery life, and great display. The Honor 7X is down to $169.99 (MRP $199.99). That’s a great price for a budget dual camera smartphone with FullView display that can bring you an astonishing, immersive visual experience. To get this amazing deal, you need to sign-up for free Prime membership. 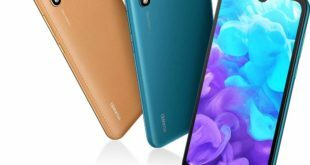 Huawei’s brand Honor View10 is down to $399.99 (MRP $499.99) on Amazon right now. Try Prime membership for free to get this exclusive offer and save $100 on this fantastic smartphone. 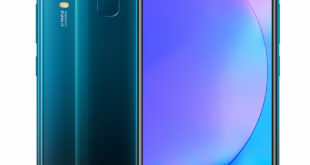 The Honor View10 features an intelligent Dual Camera incorporates AI-powered real-time scene and object recognition delivering exceptional image quality with minimal effort. As part of the ongoing Amazon Prime Day Sale, Samsung is offering a smart home bundle deal with the purchase of a Samsung Galaxy S9 or S9 Plus. Both are available in Lilac Purple, Coral Blue, or Midnight Black color options. The Samsung Galaxy S9 Bundle will set you back $720 while the Galaxy S9 Plus bundle goes for $840. Both bundles save you a whopping $430, the estimated retail value of all the free smart home gear. Huawei’s Mate 10 Pro is down to $549.99 (MRP $799.9) on Amazon’s Prime Day sale. The discounted price is available on Titanium Gray, Midnight Blue, and Mocha Brown color options. The Huawei Mate 10 Pro features a 6.0-inch HDR10 display, dual Leica Camera, IP67 Water Resistant and supported by 6GB of RAM. Love to play games? It’s probably time to switch to a new console. The Xbox One S 1TB Console – Starter Bundle is down to $229.99 (MRP $299.99)on Amazon right now. It’s one of the finest investments you can make you enjoy gaming at home. The Amazon Prime Day 2018 Sale is here and with it are some great offers. Among the best Amazon Prime Day 2018 sale deals are products such as the Essential Phone, Moto X4, Samsung Galaxy S9 / S9 Plus bundles, Xbox One S and many more. 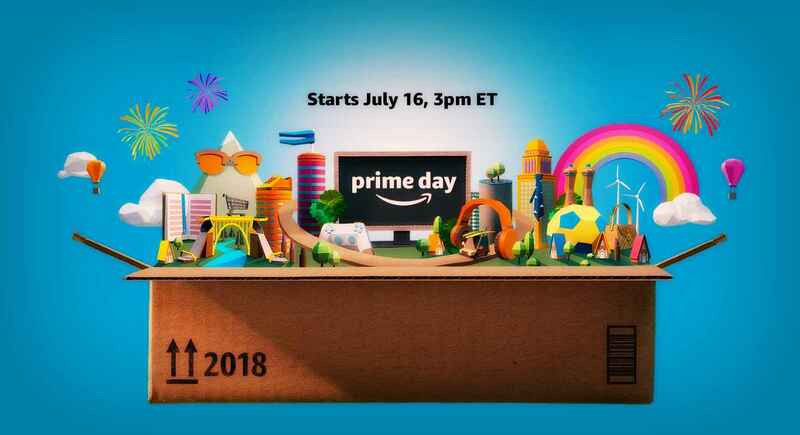 Amazon Prime Day 2018 is obviously intended only for Amazon Prime members, so if you haven’t signed up for Amazon Prime yet, here’s how you can hop on. This allows you to grab the best deals from the Amazon Prime Day sale.